Inclusive Amusement Parks: What Can Equal Access Look Like? As an adult, I reflect back on my summer experiences and think of so many individuals who did not have the same access to to an amusement park. I can’t believe it, but summer is coming to an end. For me it’s the fastest out of the four seasons. Maybe it is because we try to plan so many fun activities, which tend to be outside. This can range from a simple backyard get together, a trip to the beach or a visit to a park. A significant summer memory for me is visiting a theme, water or amusement park. A visit to an amusement park is a right of passage in many ways. It’s a time when you as you get older, you start to enjoy the freedom of exploring the park with friends. I have to admit that it has been years since I have set foot in an amusement park, but I can recall my times there as a child, adolescent and young adult. Sometimes my visits were with my family, but so often it was with a group of friends. We simply wander the grounds – went on different rides, ordered food on our own, played games. We did these things without hesitation or much thought. We had the ability to explore, eat, and play on our own because we were all able-bodied neuro-typicals. We did not have to think about physical obstacles or environmental triggers that might affect our day at the park. We did not need very much assistance or support. And we did not think twice about any of this. As an adult, I reflect back on my experiences and think of so many individuals who did not have access to to an amusement park. Many of the parks did not have ways to support individuals with developmental or physical disabilities. While I can slowly start to see a shift in ways places, like amusement parks, can and are provide access and support to those who need it. Let’s start with the most inclusive – Morgan’s Wonderland is an amusement park in San Antonio, Texas that is dedicated to welcoming all individuals with various ability levels. It was constructed with the mission of inclusion and access Isn’t this amazing?!? An entire generation of individuals can create memories and experiences similar me and my friends. This park has even expanded to include a first of it’s kind water park, Morgan’s Inspiration Island. I truly believe this park has brought so much joy into individuals and their families lives. And for that and other reasons I am so grateful it is available. However, I hope it remains one of a kind. It is time for all amusements parks to develop new rides and attractions with the objective of inclusion and to find ways they can support all visitors. Take a look at Dollywood in Smoky Mountain, TN. They recently added a Calming Room that provides a place for visitors to relax if they experience a sensory overload. What a great addition, that can help so many visitors and their families. This is a great first step for Dollywood and I hope that others amusement parks take note and try to build in support and access. What stories do you have about amusement parks and accessibility? Share your memories, experiences and thoughts on how the places you have been to can or have improved. 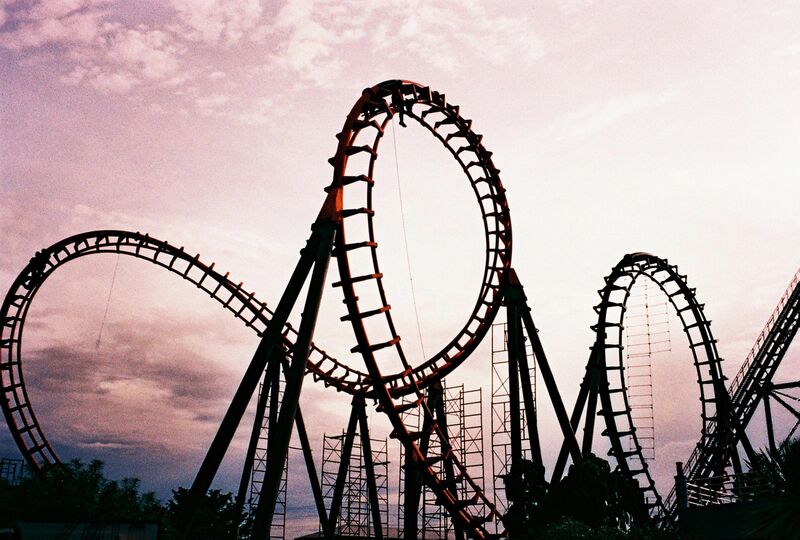 We’d love to hear your experiences at Morgan’s Wonderland or Dollywood or maybe another amusement park.